Wow, this is fantastic looking! According to OkayPlayer’s Dantana (via Complex), this footage of Jay Electronica, shot by Jason Goldwatch in Nepal, has been lying dormant for almost two years…whatever the reason for the delay, I’m glad they finally got the greenlight. While Jay E’s first “Dimethyltryptamine” video is a collage of references through his own eyes–JFK, mushroom clouds, pigs etc.—this version looks at Jay instead, experiencing laser-vision through the streets of Kathmandu. Even though this song is over 4 years old, it still sounds completely current. This year Jay has been traveling the world, recording. Not sure if he’s living in London now, but I can’t wait to hear what he’s cooking up. Filmed in Kathmandu in fall 2009 by Decon. Posted by Mr.North under Albums , Hmmm? It’s been a while since Kanye West & Jay-Z delivered “H.A.M.”, the Lex Luger-produced offering that was slated to be the single for their collaborative Watch The Throne LP. Recently, ‘Ye joined Hov and Beyoncé in Paris possibly finishing up their highly anticipated joint album. Yesterday afternoon word got out that the duo are set to release their first official single titled “Lift Off” which will feature Beyoncé & Bruno Mars. No word on exactly when the record will drop or where but Jeff Bhasker hit Twitter early this morning confirming he co-produced the track with Kanye. A lot of live performance footage, the cooking dance, and a lot of white girls. That’s what you’ll see in Lil’ B’s latest visual for his track dedicated to Justin Bieber. Watch Lil’ B performing the same song at the MTV O Music Awards this past Thursday night, after the jump……. 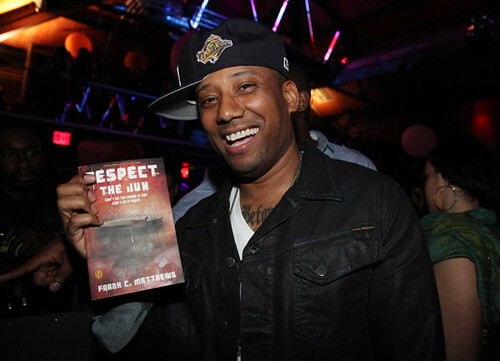 Maino’s #RespectTheJux release this week is an ode to Christopher Wallace as Meek Mill did for Tupac Shakur previously. VH1’s Rock Doc division is bringing a new television documentary starring 50 Cent titled The Origins Of Me. In the series, 50 Cent goes on a journey in search of his family’s past traced back to Edgefield, South Carolina. With the help of local genealogists and census data, 50 ends up finding his great-great-great grandmother Jane Jenkins who was a slave during the 1800’s. He also discovers that his past ancestors fought the “REDSHIRTS,” who were the precursors to the Ku Klux Klan. During a recent visit to L.A.’s Power 106, Nicki Minaj and Luscious Liz of Big Boy’s Neighborhood have a ‘girl talk’ moment. Nicki reveals her choice of sleepwear and why she doesn’t like sleeping naked. After she lists what makes a good boyfriend and things that men do to turn her on and off. Co-sign with MissPassion that I wish this was longer, got me all worked up on a Friday night. Swizz Beatz ready for the release of his upcoming album Haute Living, but until then he gives us a preview of the 1st single’s video “Everyday (Coolin’)” featuring Eve. The video, which is directed by TAJ will drop Monday, May 3rd on BET’s 106 & Park. Catch the trailer for Kendrick Lamar’s “HiiiPoWeR”, after the jump…. Last night, the first episode of Cory Gunz’ new MTV reality show Son Of A Gun hit late night television. In the debut episode Cory officially joins with Young Money and has management struggles with Nick Cannon and his longtime lawyer Ed Woods. In that same episode Cory was working on a track titled “Know My Name” which VIBE Magazine had the go ahead to premiere. Outside of the U.S. readers can watch the premiere episode here. After the jump catch deleted scenes from Son Of A Gun…..
It’s kind of crazy how Amber Rose is more relevant in hip-hop than a lot of these rappers you see posted on the blogs. I guess posts like this are part of the reason. But , oh well!We like to look and you probably do too (And so does Wiz!). The Tayor Gang capo’s boo found her way onto King’s next cover. Check out this brief teaser of what’s to come from the men’s mag. Also, MTV reported that VH1 has no knowledge of an Amber Rose reality show titled “Behind Her Shades” coming out on there network. Meanwhile, she told me it’s a done deal. I can’t call it. after the jump, check out footage from Amber’s recent trip to Barbados (I was there)…. 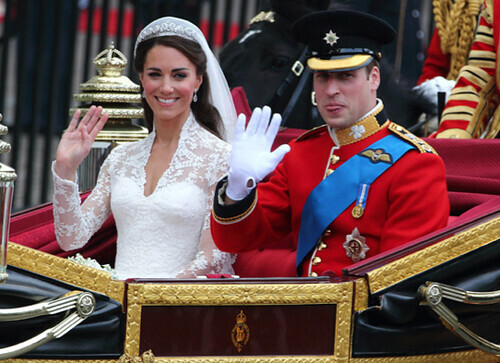 A clip from the wedding that…despite what Jagged and Tyler the Creator said…many Americans still gave a s–t about, lol..